Why the move to BIBFRAME? The Machine Readable Cataloging (MARC) standard was developed over forty years years ago to make bibliographic records usable by computers. MARC records were the basis for online public library catalog (OPAC) records to make items searchable in library catalogs. This sufficed until the 1990s and the rise of the Internet. However, MARC was so entrenched that it took another decade before the Library of Congress made the first move towards converting MARC to a Web standard with MARCXML. This schema essentially reformatted the MARC record fields and subfields into an XML schema but was not an entirely new model. MARCXML wasn’t widely adopted. So in 2011 the Library of Congress, along with the consulting company Zepheria, set out to create a new bibliographic framework called BIBFRAME to make library records conform to Web standards. BIBFRAME is a web-first Linked Data model intended to make library records accessible to the Web at large. 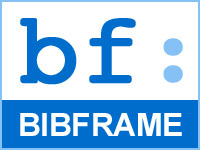 The BIBFRAME initiative was announced in an open letter “A Bibliographic Framework for the Digital Age” (dated October 31, 2011) by Deanna Marcum from the Library of Congress. In this letter it was recognized that the MARC record was outdated and a new format was needed for the Internet age. So BIBFRAME was developed on the RDF model using Linked Data through the Bibliographic Framework initiative. Its current draft specification is version 2.0. Creative Work – a resource reflecting a conceptual essence of the cataloging item. Instance – a resource reflecting an individual, material embodiment of the Work. Authority – a resource reflecting key authority concepts that have defined relationships reflected in the Work and Instance. Examples of Authority Resources include People, Places, Topics, Organizations, etc. Annotation – a resource that decorates other BIBFRAME resources with additional information. 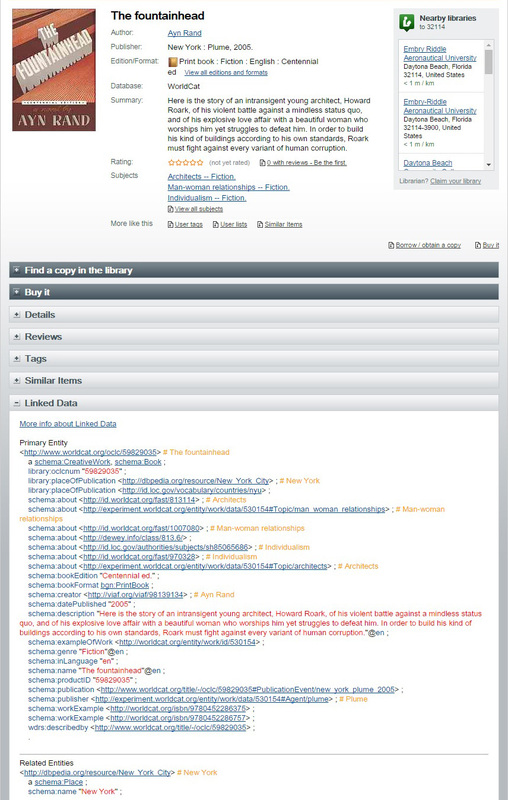 Examples of such annotations include Library Holdings information, cover art and reviews. Within the Vocabulary of BIBFRAME there is a current total of 53 classes and subclasses falling under Resource such as Work, Instance, Authority, and Annotation. A BIBFRAME Resource can have 289 current properties such as absorbedBy, classificationLcc, doi, format, relatedInstance, title, uri, to give just a few examples. A good explanation of BIBFRAME was given in an ALCTS webinar titled “From MARC to BIBFRAME: An Introduction” by Victoria Mueller from Zepheira and Carolyn Hansen from the University of Cincinnati. A key part of supporting the BIBFRAME model is in providing tools and supporting services for helping migrate from MARC to a Linked Data environment. They should provide a means of navigating the output of a declarative BIBFRAME pipeline which takes existing MARC 21 data and translates this to the BIBFRAME model. BIBFRAME.ORG offers a MARC to BIBFRAME Transformation Service to convert MARCXML files. There is also an experimental open source marc2bibframe XQuery utility from the Library of Congress (and a Python version by Zepheira). BIBFRAME Editor – Open source editing software downloadable from Github. BIBFRAME FAQ – Frequently asked questions and answers from the Library of Congress. BIBFRAME Listserv – Bibliographic Framework Transition Initiative Forum. BIBFRAME.ORG – Is an index site to BIBFRAME Initiative, Model & Vocabulary, and Implementation and Testing sites. Bibliographic Framework Initiative – Library of Congress website with official BIBFRAME information, specifications, FAQ, tools, news, and more. Zepheira – Linked Data and BIBFRAME training from the company which was consulted by the Library of Congress to develop the BIBFRAME specifications. This paper, undertaken on behalf of the Library of Congress, investigates how metadata of audiovisual material can be best handled using BIBFRAME. 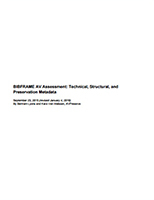 Sections cover preservation, structural, and technical metadata. Appendices give examples of video, audio, and film examples. Published in 2015, revised January 4, 2016. Straight from the source, this paper is an early look into the BIBFRAME model to introduce the subject and begin discussion. It covers the four classes (Creative Work, Instance, Authority, and Annotation) and vocabulary. The papers covers related initiatives such as OCLC’s WorldCat, Schema.org, RDA, and FRBR. Published in 2012. 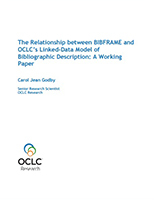 “This document describes a proposed alignment between BIBFRAME and a model being explored by OCLC with extensions proposed by the Schema Bib Extend project, a W3C-sponsored community group tasked with enhancing Schema.org to the description of library resources.” The paper also covers FRBR and gives examples of BIBFRAME in Turtle and RDF/XML syntax. Published in 2013. Using Linked Data is a way to make online library resources—even those items having metadata and located in online library catalogs—accessible to the Web at large by publishing the data in a standard, openly-accessible way. Properly described and published, online library resources could be harvested by search engines and linked to from other online resources. In order to do this, Linked Data must be structured in a standard way for the Web. On the cataloging and description side, Linked Data from online resources such as the Virtual International Authority File (VIAF) can serve as global authority records. Linked Data has two components: URI and RDF. URI (Uniform Resource Identifier) is a location as name of a digital resource on the Web, typically given in the form of a Uniform Resource Locator (URL) that also gives the protocol (ex. HTTP) of accessing it. RDF (Resource Description Framework) is a standard structured file (often in XML) which describes a digital resource and contains URIs. 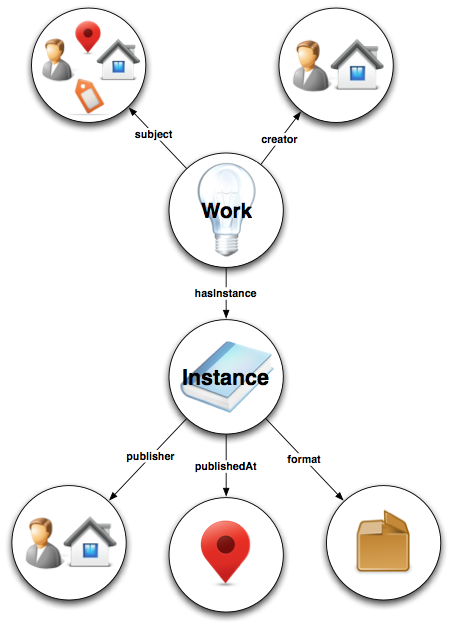 For a Linked Data statement, you need three components: subject, predicate, and object. These together are referred to as a triple. Subject – what’s being described and linked, a URI or blank node. Predicate – describes the connection, always a URI. Object – the resource being linked to, a URI, literal, or blank node. 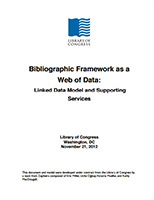 One framework for moving library metadata records into Linked Data format is BIBFRAME, the replacement for MARC being developed by the Library of Congress and others. We will continue to see new tools created for the conversion of library metadata formats (such as Dublin Core) into Linked Data formats (such as RDF/XML and Turtle). 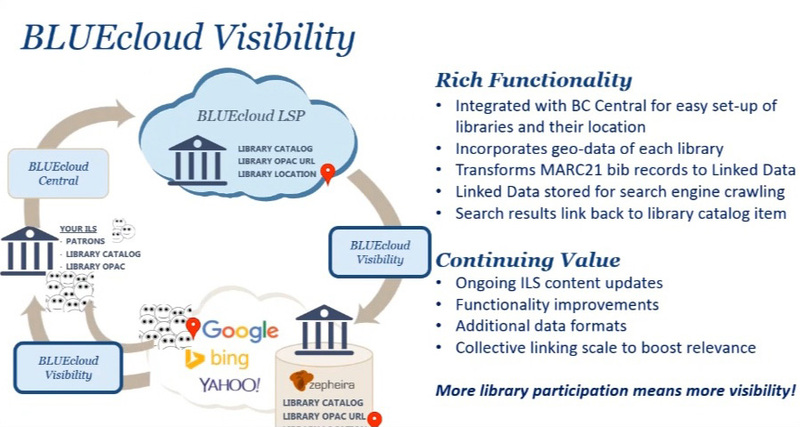 Finally, as more library records are converted and made available as Linked Data, we will see library vendors start to utilize Linked Data in their products. 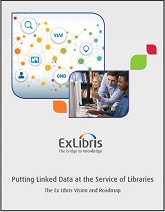 For example, Ex Libris recently announced that the company has launched a program to “harness linked data technology in its resource management and discovery solutions” and published the paper Putting Linked Data at the Service of Libraries. Libhub Resources – Links to BIBFRAME and Linked Data Web resources, articles and books, tools, organizations, and videos. Linked Data – Connect Distributed Data across the Web – A very thorough resource with guides and tutorials, FAQ, presentations, data sets, and more. 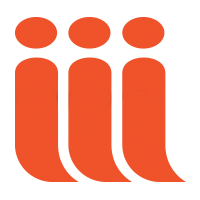 Linked Data for Libraries – Site for Linked Data for Libraries (LD4L) project. 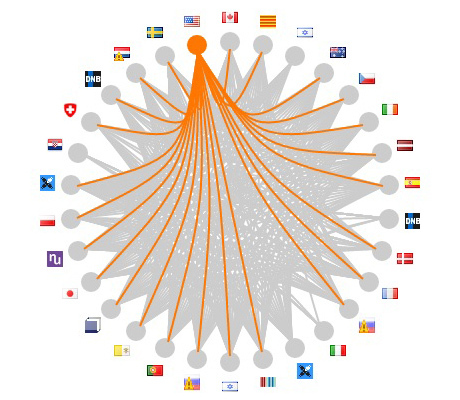 OCLC Linked Data – OCLC’s Linked Data initiatives and the status of Linked Data in WorldCat. UNLV’s Linked Data Project – Blog posts from 2014 contain some good information and presentations on Linked Data. 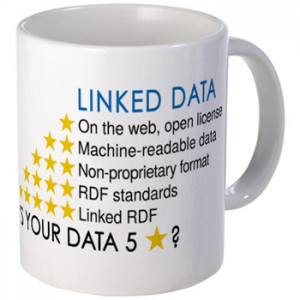 WC3 – Data (Linked Data) – Semantic Web and Linked Data definition and examples with a link to specifications such as RDF. 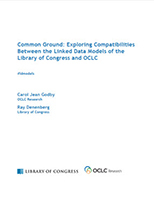 “Jointly released by OCLC and the Library of Congress, this white paper compares and contrasts the compatible linked data initiatives at both institutions. It is an executive summary of a more detailed technical analysis that will be released later this year.” Published in 2015. Access the abstract and full-text article (PDF). Part of the “Synthesis Lectures on the Semantic Web: Theory and Technology” series. 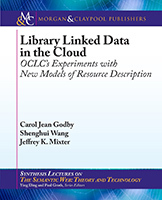 OCLC looks at Linked Data in cataloging and its products. Topics include authority records including VIAF, cataloging and FRBR, text mining, and the library Linked Data cloud. Published in 2015. Watch the companion video (59:50). 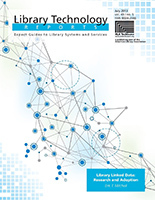 This title is actually an issue of Library Technology Reports from ALA Tech Source. The report covers basic metadata in libraries and museums, Linked Open Data (LOD), case studies including BIBFRAME, and “issues, opportunities, and trends” in metadata. Published in 2013. In this book published by the American Library Association, the authors cover Linked Data and focus on the metadata standards supporting it. They present key concepts of metadata including metadata modelling, cleaning, reconciling, enriching, and publishing. Published in 2014.